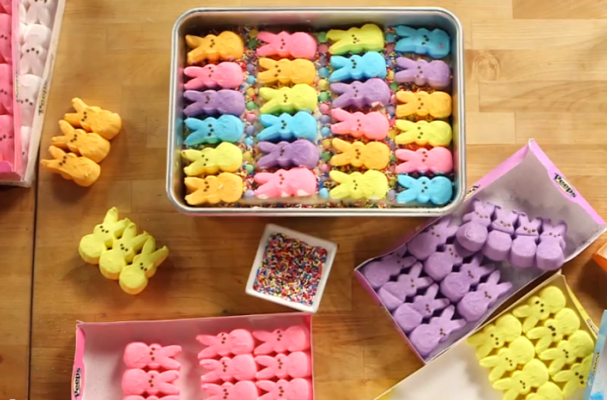 These colorful Peeps cookie bars are an inviting Easter treat. A box of yellow cake mix is converted into cookie dough with the addition of butter and egg yolks. Rainbow sprinkles add a pop of color to each bite. Before the cookie bars are decorated with neon hued peeps, they are topped with a white chocolate fudge to help the candy stick to the cookies. You are going to love how easy it is to make this festive dessert.